Free Fishing Reports > Northeast > New York > North Shore > Was It Trick or Treat for Mike Sr. and Mike Jr.??? 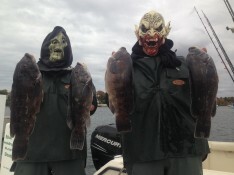 Was It Trick or Treat for Mike Sr. and Mike Jr.??? The crew once again started in shallow water, did well, then moved to deeper waters for a nice bite with fish to over 7 lbs. 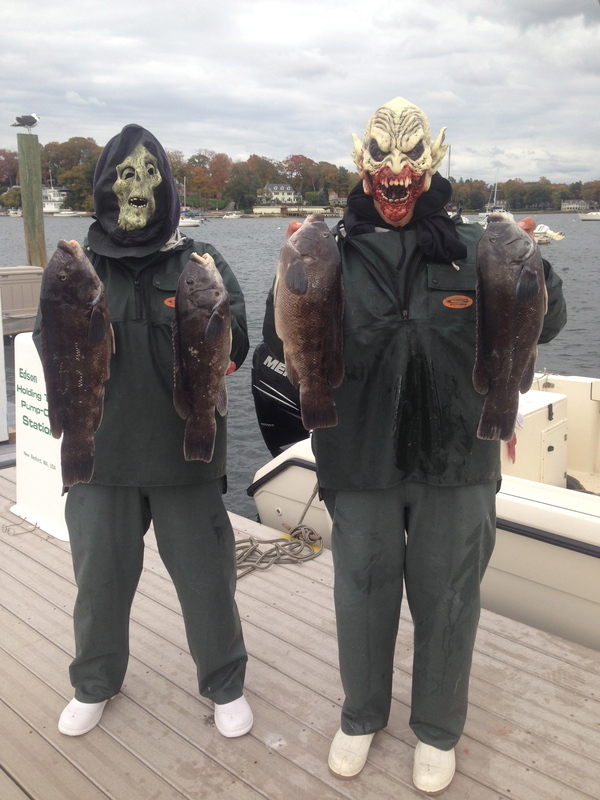 Mike Sr. for a while put on a Blackfish clinic…it was lock and load during a good portion of the tide…The duo got their limit with no trouble !!! In all, it was a very Happy Halloween for all…Always great fishing with such good looking guys !! !